Aug 29, 2018 VMI Sports Protolyte Adds New Flavors – Challenge Accepted! 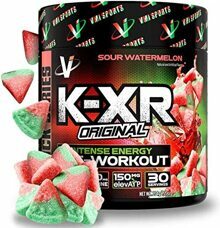 The VMI Sports K-XR Pre Workout is one high-energy supplement!! And it's got some high-energy flavors too! 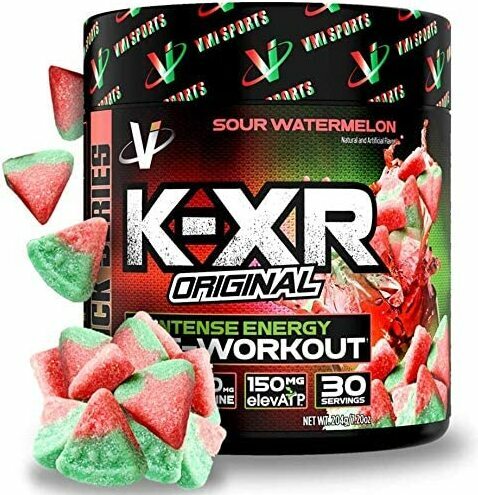 See our K-XR Review below -- we just loved the Miami Vice flavor! Intense Energy Pre-Workout: Extreme Mental Energy & Mental Focus! SUPERIOR MENTAL FOCUS - Choline Bitartrate for Mental Focus & Cognition. BETTER PUMPS & ENDURANCE - Theobromine for Enhanced Vasodilatation & L-Taurine for Muscle Hydration & Endurance. Intense Pump Blend made of Beta-Alanine, L-Taurine & Theobromine. Maximum Energy Blend made of Caffeine Citrate, Caffeine Anhydrous, Infinergy DiCaffeine Malate, Norcoclaurine HCl & Rauwolfia Vomitora Extract. Focal & Cognitive Enhancing Blend made of Choline Bitartrate & Huperzia Serrata Extract.